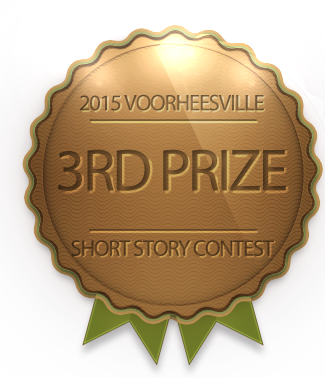 Kimmy’s story won third prize in the 2015 Voorheesville Short Story Contest. One house. One family. You may say nothing seems out of place. But since when did spring come without a little pain? Crash. Another glass hit the floor and shattered. The screams echoed up the stairs. I grabbed Teddy and dove onto my bed putting the covers over my head. With that I heard something else go flying. It sounded like a picture frame shattering. Bobby started barking and my dad started yelling at him to shut up. I heard my dad start to climb the stairs and I quickly shut off my light and pretended to be asleep. I clung to Teddy. Teddy was the only one that was always there for me. After Maggie left I had no one to talk to. My dad finished climbing the stairs and I could already smell the alcohol on his breath. I heard their bedroom door slam shut. I crept out of my room with Teddy by my side. I slowly snuck down the stairs being careful so they wouldn’t make too much noise. I found my mom sitting in a corner leaning against the wall. She was holding broken glass in her hand and was sobbing uncontrollably. Her makeup had smeared all down her face and made her look like a clown. I missed Maggie. She would always tuck me into bed and make sure there were no monsters under the bed. She even made me chocolate chip pancakes in the morning. I could still taste the melted chocolate in my mouth. She would even play barbies with me and always asked me how my day at school was. She picked me up from kindergarten on my first day and took me to get ice cream to take my mind off the mean girls. The only one left was Bubba. But he was too young for me to talk to. All he did was play trains and drool over himself. Ewww. Daddy was out cutting the grass when I woke up. Hazel was outside acting like an old lady and making her dollies tea. I never understood why she tried to act so old. I much prefered playing with my trains. I didn’t hear Mama so I decided to call out for her. Momma walked into my room with her hair all out of place. She was wrapping the same ratty robe around her. Her eyes were red and puffy. Mommy walked out of my room and I followed her downstairs. While I waited for Mommy to make my pancakes, I went over and looked at the pictures hanging on the wall. My favorite picture was of Mommy and me after my team won our softball game. Mommy had always been my softball coach. I loved those warm spring days when she and I would practice in the back yard. Mommy was acting so strange. Mommy always loved coaching my team. I didn’t understand. My lip started to quiver and my eyes started to water but I didn’t cry. Big boys don’t cry. Later that morning I decided to talk to Hazel about it. I gave up on trying to talk to Hazel. She was too busy with her tea and ‘lady stuff.’ I decided to talk to Daddy. As I walked over to him the grass clippings stuck to my bare feet. The smell of freshly cut grass always made me happy. As I got closer he shut of the mower and took off his sweaty shirt. One thing was certain, Daddy was smelly. It seemed like no one was going to give me answers. I would just have to figure it out on my own. I grabbed some of my action figures and climbed under the porch. I heard Mommy come outside and I tried very hard to listen to what was going on. It sounded like she was on the phone with someone. I heard the phone fall onto the porch. For a minute there was complete silence. Then I heard Mommy break out sobbing. Daddy ran over from the mower. I tried to figure out what was going on but before I could gather any information Mommy and Daddy ran inside and the sliding glass door was shut. Shaking, sobbing, scared. I held my wife close. We both dreaded this moment. What was I supposed to do? I was pretty much useless. There were no words to be spoken. My mind was racing like crazy. I couldn’t do anything but hold her close to me. In a weird way I cherished the moment since I didn’t know how many more of them there would be. I had no clue what I was going to do. I didn’t know how to pack the kids lunches. I didn’t know how to braid Hazel’s hair. I didn’t know a thing. I wished it wasn’t her going through this. I would gladly have switched places. I could hear the kids coming inside. Their innocent feet dragged mud all through the living room. Hazel was holding her teddy bear close and Bubba looked at us with wide eyes. Cathy wasn’t able to answer. 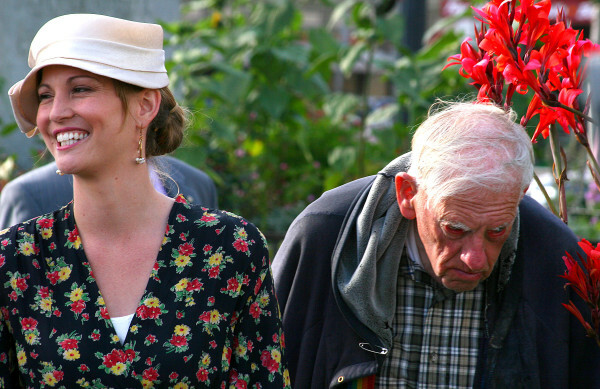 She barely even looked at them. The breeze gently blew the curtains. I thought back to this time last year. Oh how things were different. We were all outside planting the garden. Maggie was home. We didn’t have a death sentence in the family. I grabbed the keys from the hook on the wall and kissed Cathy bye. We got into my old Chevy and drove towards the town’s local pizza place. As we drove my mind was racing like crazy. For once in my life I had no answers. Up ahead a few cars were stopped, surrounded by smoke. As we got closer I could see that there was a car that had flipped upside down and was smoking. I quickly got out of my truck and ran towards the car. The fire company and ambulance had already been called. The smoke filled my nostrils and was suffocating me. There was an elderly lady trapped in the drivers seat. The other people who had stopped were trying to pull her out but were ultimately failing. As I got closer I could see that she appeared calm. The young man was becoming even more furious every time he tried to open the locked door. I grabbed a rock from the side of the road and threw it at the window. The glass instantly shattered. I reached in the car and tried to pull her out. I could feel the glass slicing open my skin as I worked. After much struggling I finally managed to pull her out. She was in shock and seemed to be in a daze, probably from all the smoke. In that moment her car caught on fire. The heat coming from the flames was unbearable. I moved her towards the other side of the road where the heat wasn’t as intense. Her face was all bruised and she had scrapes all over. I wasn’t sure if she was responsive until she finally muttered something. Then she stopped talking. I wasn’t sure where she was going with this. I wanted to ask her more but when I looked down her eyes were shut. I reached down and found that she had no pulse. Beep. . . Beep. . . Beep. My heart monitor was becoming so annoying. I was ready to get out of bed and unplug it. However, that was impossible since I was basically stuck in the bed with all the different wires attached to me. There were so many more things I should have been doing. I should have been coaching. I should have been out enjoying spring. I should have been outside eating ice cream with my kids. I shouldn’t have been lying here dying. The window was just close enough to my bed where I could see out of it. As I glanced outside I could see children playing in the courtyard below. They were running around, free and happy as could be. The wheels of the old cart rattled as the nurse rolled food down the floor. I could smell mashed potatoes and turkey. I could almost taste them. Of course I wasn’t allowed to eat anything. I thought of Bubba and wondered how his last softball game of the season was going. I would have done anything to have been there. My head was throbbing. The pain killers never seemed to work. I watched the clock on the wall and studied the way the hands moved, how it ticked every time a second passed, how it kept the same pace. I almost hated it. Every time the hand moved I knew that I was a second closer to dying. I pulled the sheets up around my neck. They smelled fresh, almost like how the fresh air smells in the spring. Outside I heard a nurse talking to a young women. It sounded as if she was trying to come in to see me. Her voice sounded familiar but my head hurt so badly that I didn’t want to try and place it. After a few moments she walked into the room. I couldn’t control myself. Tears started streaming down my face. My entire body was shaking. I couldn’t believe who was standing in front of me. My voice shook as I spoke. There she was, standing right in front of me. Her red waves were out of place and her eye looked slightly black. Her lip was cut in the corner and her knee had a huge bruise on her. All these things weren’t there when she left. The one thing that was there when she left was no longer seen. We both sat there thinking. I thought of all the things I could have done in my life. I wished time was something I could buy back. I never thought of spring that way. In a weird way, what Maggie said gave me peace. The fresh air came pouring into the stale hospital room. The curtain gently fluttered in the breeze. The laughter and shouting from the children below echoed throughout the courtyard. The smell of spring filled the room. I took a deep breath and I could feel my lungs instantly tighten up. Pain shot through my body and my heart started racing. The heart monitor started beeping like crazy. In the distance I could hear the nurses running around trying to find a doctor. Maggie kept calling out to me but I couldn’t even move my head to look at her. All I could do was think of what Maggie had told me. Nothing could ever stop spring from coming. Not even my death could prevent another spring from coming. As I closed my eyes I noticed that the heart monitor had almost seemed to stop. Even though I had been beaten down and bruised by life, I knew that my spring was just around the corner. Kimmy McQuade is a senior at Clayton A.Bouton High School.